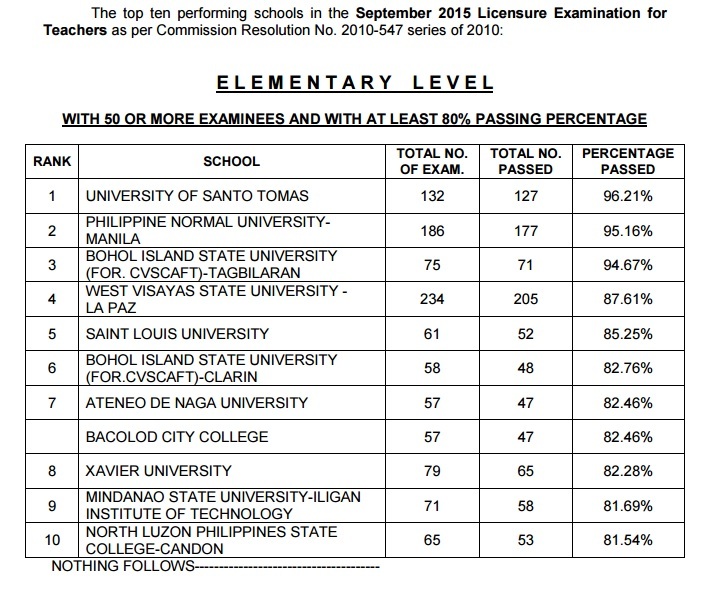 The Professional Regulation Commission (PRC) has named on Monday, November 30, 2015 the top performing schools and officially released the full list of performance of schools for the September 2015 Licensure Examination for Teachers (LET) or Teachers board exam. 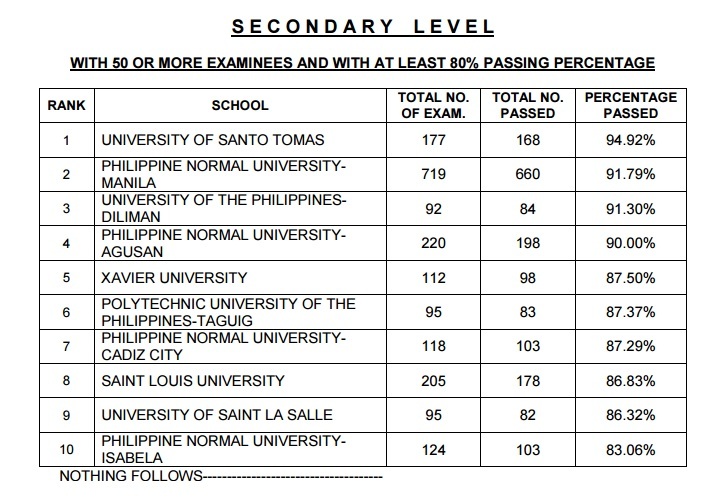 According to PRC, University of Santo Tomas (UST) is the top performing school for LET Elementary and Secondary level examinations as per Commission Resolution No. 2010-547 series of 2010. On Monday, PRC announced that 21,461 elementary teachers out of 68,442 examinees (31.36%) and 34,010 secondary teachers out of 81,463 examinees (41.75%) successfully passed the Licensure Examination for Teachers (L.E.T.) given in Hong Kong and several testing centers all over the Philippines.